What's Preventing Your Home Sale? I want to share a story with you about a lonely house, so that you too don’t have to abandon your home at your next PCS, leaving it sitting alone, waiting, wondering what’s preventing its home sale. But first, let’s set the mood: Cue some Sarah McLachlan SPCA music, please. The following story could be about your home, alone and afraid. A beautiful townhouse I drive by on most days sat on the market for months. The ignored house watched forlornly as house after house in that neighborhood hoisted "For Sale" signs, posted their sold notifications, and then welcomed their new homeowners. After several months of a "for sale" status, the two homeowners stood in their driveway for most of a day, puzzled over why they hadn’t sold their home, too. They didn’t understand. The other homes were selling, so why was their home not yet sold? Every hour, a home is left abandoned, neglected. Eventually, they parked a truck in the driveway and emptied the townhouse of its possessions. When the holiday season came, it was the only house not bedecked in holiday finery and festive lights; it felt so alone. Its owners left the for sale sign in front of the now lonely home where it continued to remain empty of occupants for many more months. More surrounding homes continued to post their signs and sell. The home felt neglected and unloved; it simply couldn’t understand what was preventing it from selling. It’s waiting for someone to help. Finally, the homeowners took down the rinky-dink homemade for sale sign—the one that simply stated “For Sale” and a local phone number (one that likely didn’t work after they moved out). They posted a professional-looking sign with a link to an online posting. They had finally listed the home online. The home sold within a week and gratefully welcomed its new occupants within two. The average home in that neighborhood had sold within three weeks. The median time for a home sale nationwide last year was eleven weeks. This home sat on the market for a total of eight months, four months past the PCS date of the military family who had occupied it. Don’t do this to your home. Now, we can end the sad music. While I’m not going to ask for your donation to the neglected house association, I am still going to encourage you to pull out your wallet and pay for an online listing; you can either hire a professional real estate agent to do it for you or you can post your own listing online. For less than $80, you can not only directly reach the military family market at MilitaryByOwner online, but also with the listing’s included professional yard signs you can direct people driving by your home to an online listing where they can learn if your home meets their size needs and price range. According to the 2014 Profile of Home Buyers and Sellers by the National Association of Realtors, most people now look online while home shopping. So if you're trying to sell your home by owner without even having an online listing, then you need to check out these statistics to learn why finding a buyer for your home will be akin to finding a needle in a haystack. 92 percent of buyers use the internet to find their next home. Over the past decade, only 5 percent of buyers each year purchase a FSBO home from a stranger. Only 15 percent of FSBO home sellers are contacted by someone they don’t know who has an intent to purchase their home. By reviewing these statistics, we are in no way eschewing a FSBO as a viable home selling option. In fact, many of the MilitaryByOwner staff have completed their own FSBO home sales and some have even sold multiple homes successfully as FSBO. We do, however, strongly believe that you are preventing your FSBO home sale by not pairing your For Sale yard sign with an online listing. Oh, and a professional looking yard sign doesn’t hurt, either! 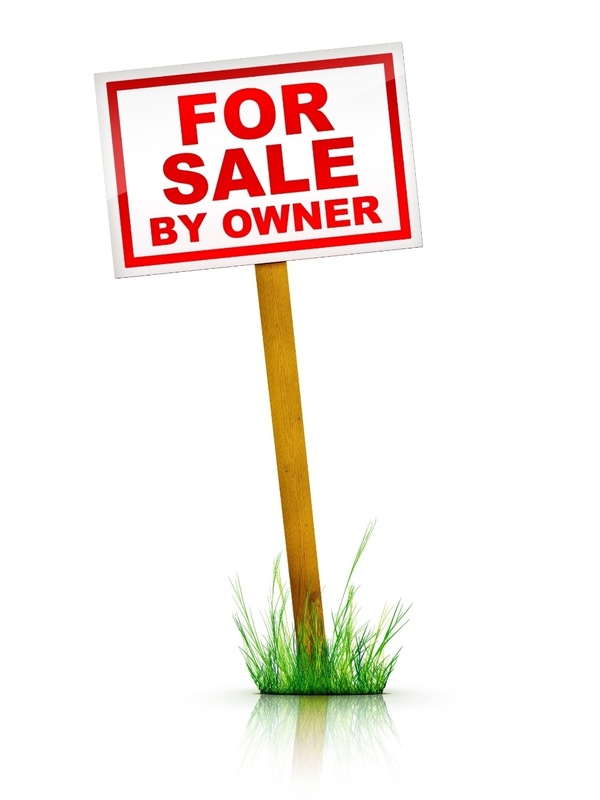 To help your home sell quickly, you can purchase a large for sale sign and street pointer to direct your prospective buyers to your home (useful if you live far back in a neighborhood or off a main thoroughfare). And MilitaryByOwner's Home Tour Plus package for an online listing comes with both a large yard sign and a pointer sign! So, won’t you help the houses?